I get a lot of slightly obnoxious and ridiculous PR pitches...but every once in a while, there is a real gem in there. In this case, the "gem" is a little more literal....it's the wearing kind! 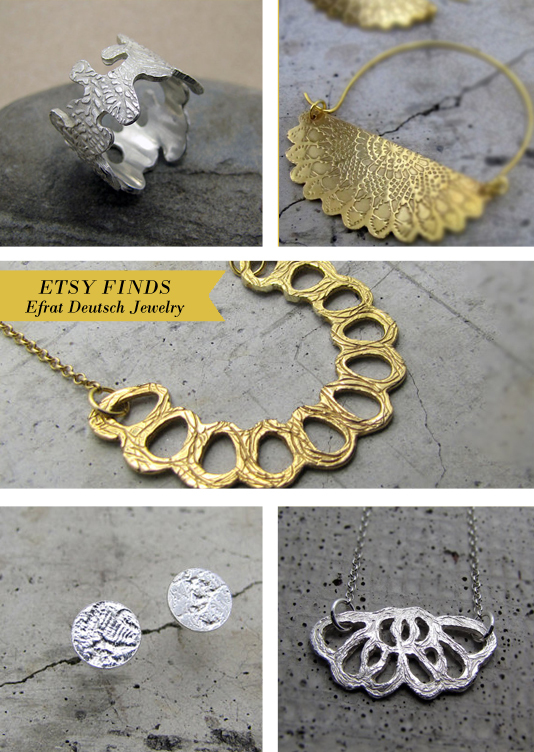 I received an email from the lovely Candian jewelry designer/goldsmith Efrat Deutsch, and was instantly intrigued with her jewelry line that embraces modernity while sticking to its organic roots. Inspired by nature and urban life, each one-of-a-kind piece is made by hand - from start to finish, no less- in her Toronto-based studio. Check out her Etsy shop to see her an array of delicate, elegant, and elaborate designs smithed from gold, silver, and enamel. LOVE THIS. Completely gorgeous pieces - I'm checking out her Etsy right now! Thanks for posting this, darling! Wow, I love these designs! Especially the necklaces. You always find the best stuff! This is gorgeous! 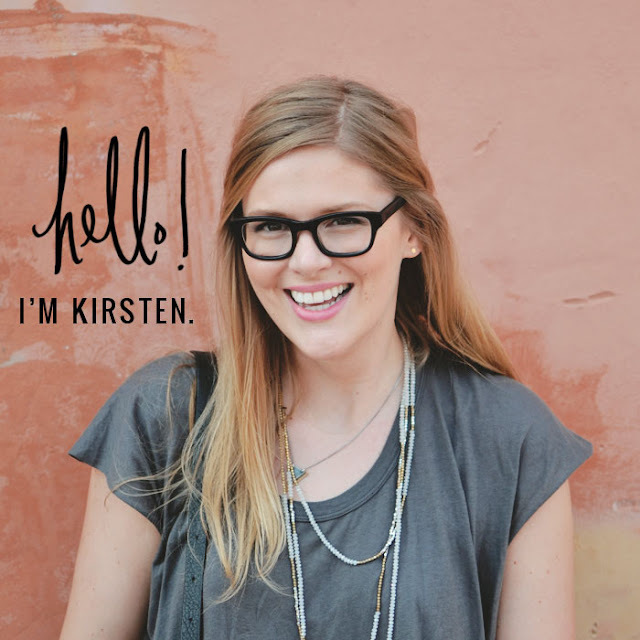 Great find, Kirsten!